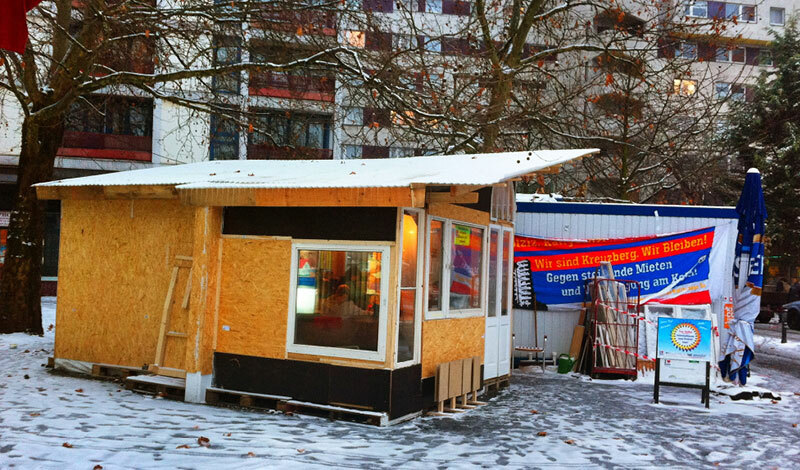 well … how to describe this „project”? 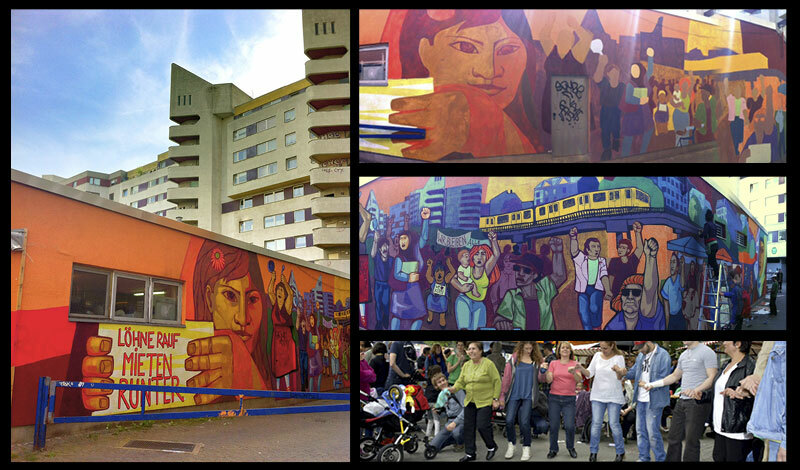 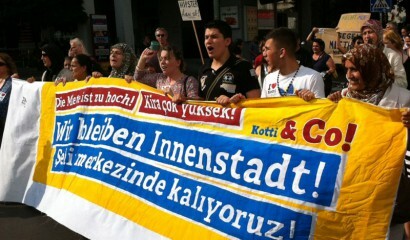 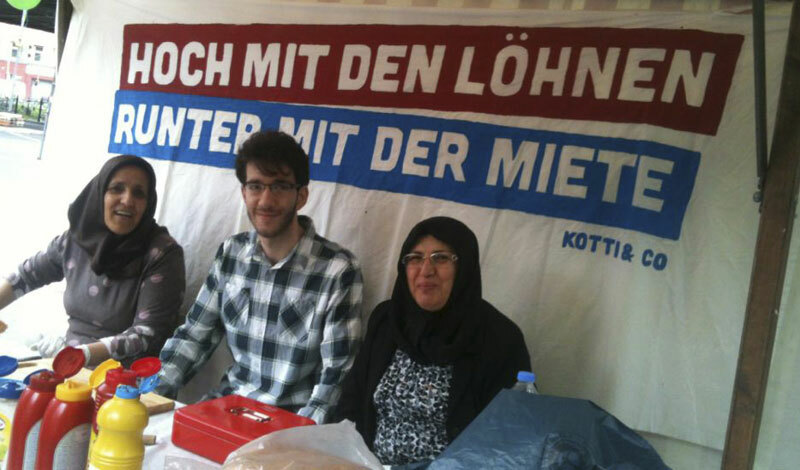 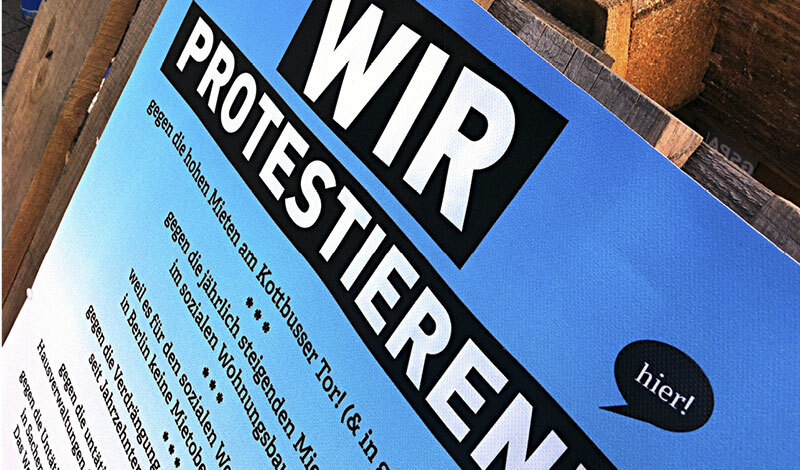 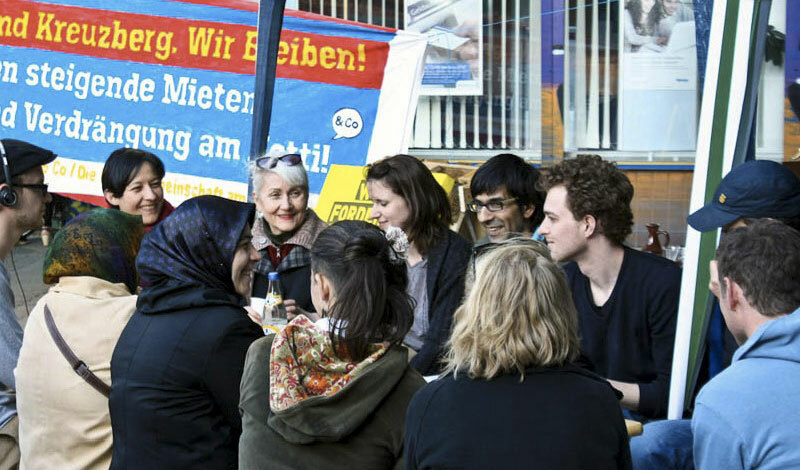 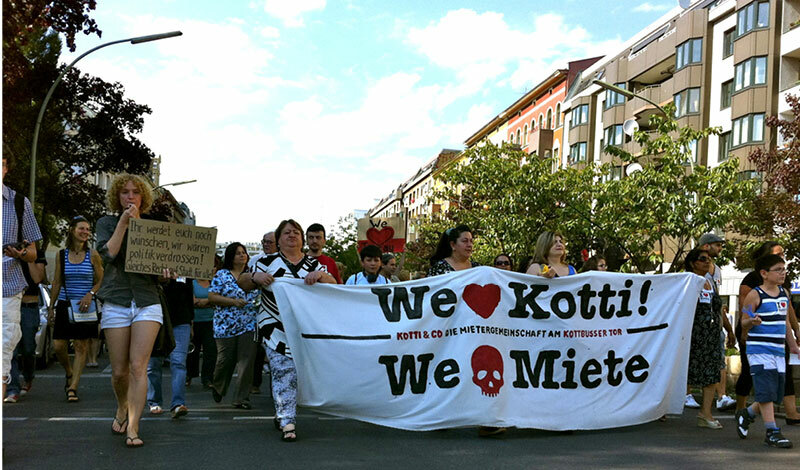 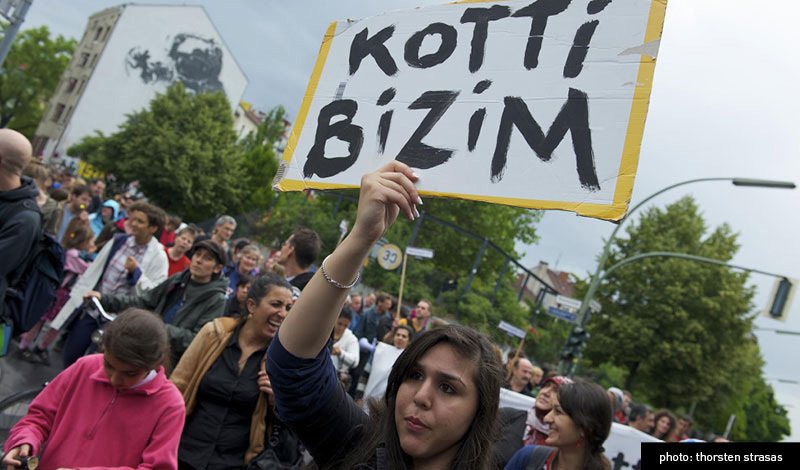 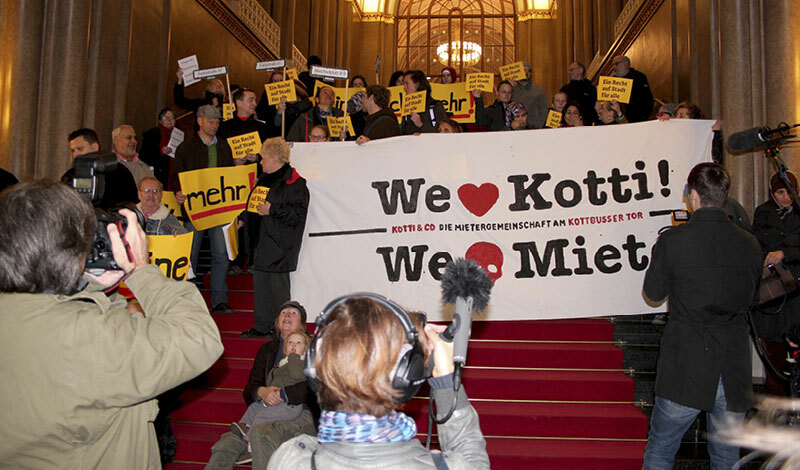 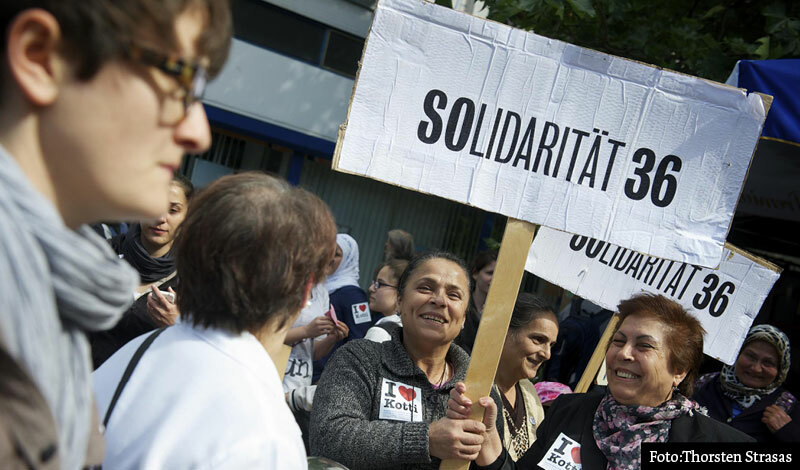 this is much more than a project – it is an extensive collaboration with the berlin based tenant initiative kotti & co, who is struggling against the risings rent in social housing. 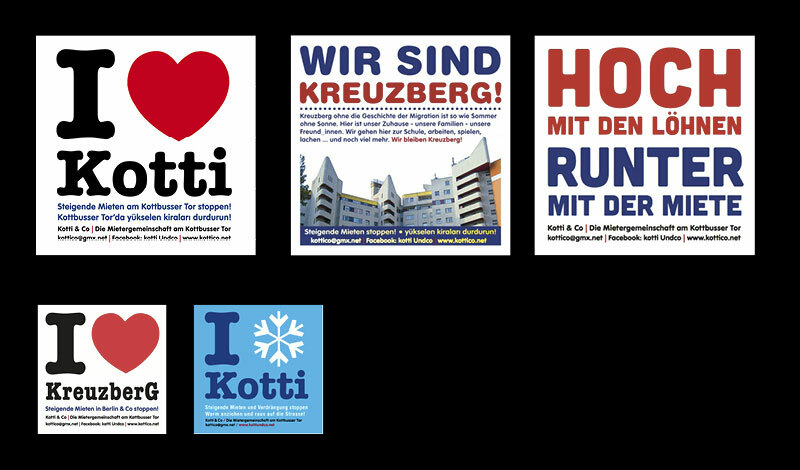 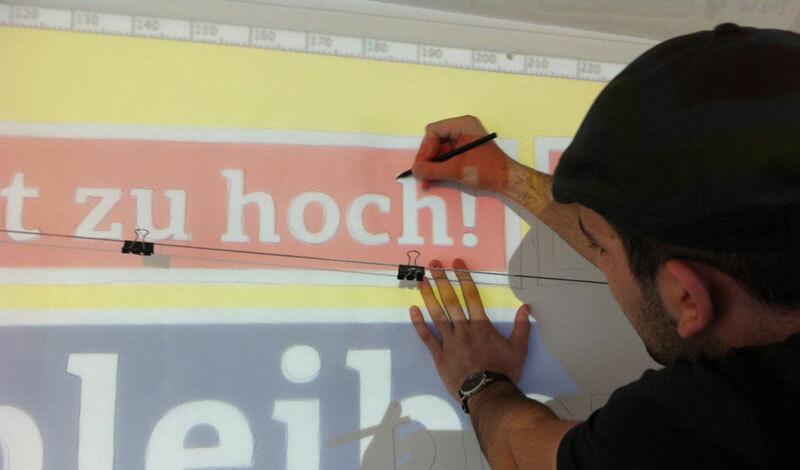 our studio is located in the same area of berlin kreuzberg (kottbusser tor) as the initiative has it´s „headquarters” and most activities from kotti & co take place. 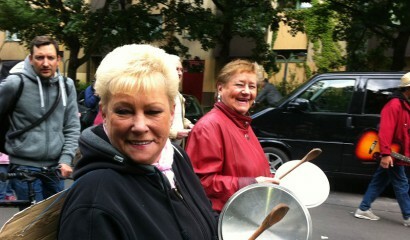 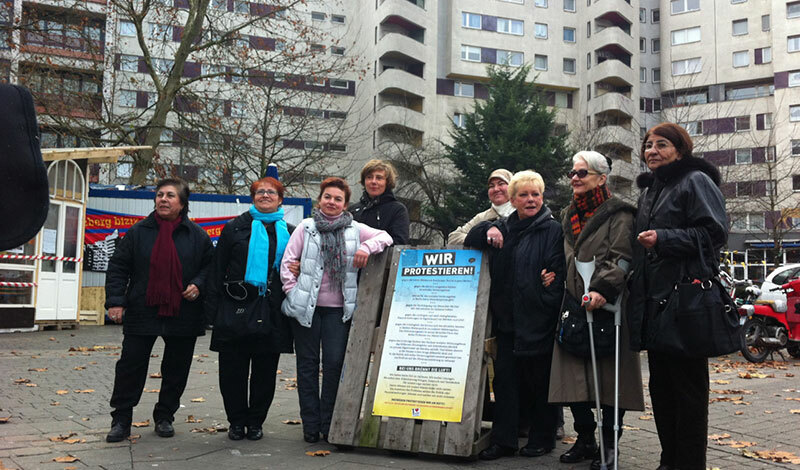 (we also have been founding members of this group). 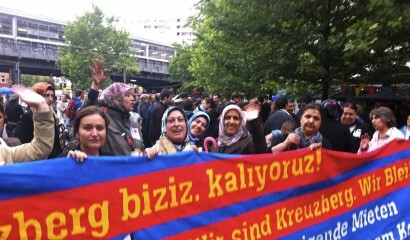 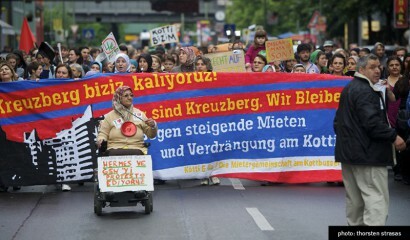 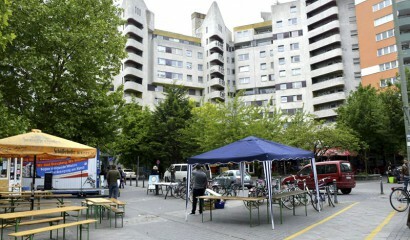 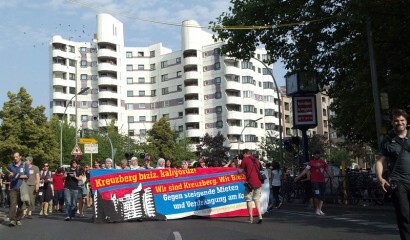 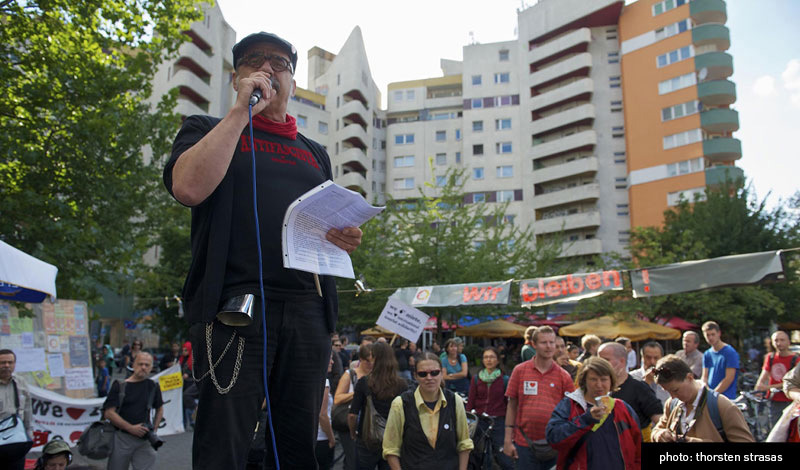 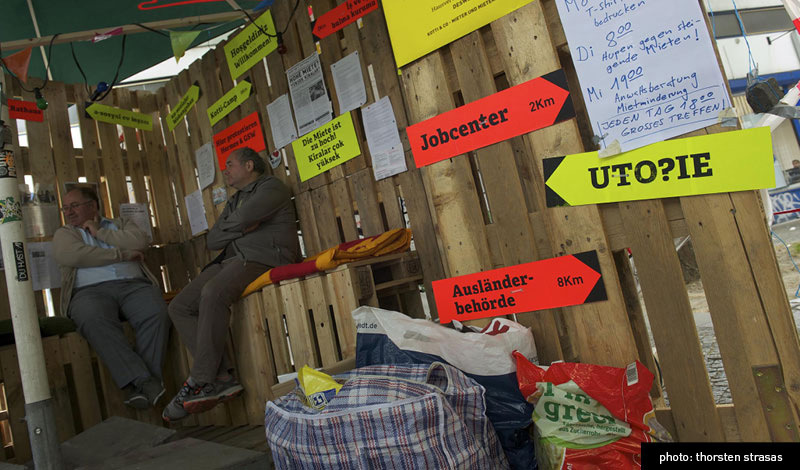 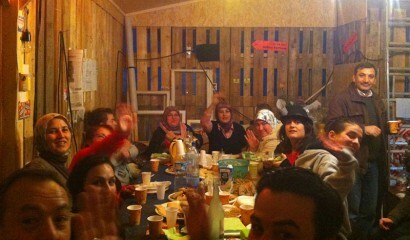 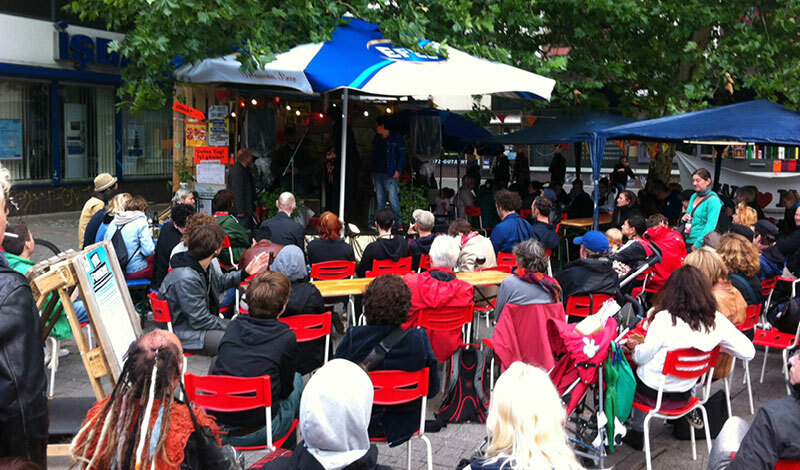 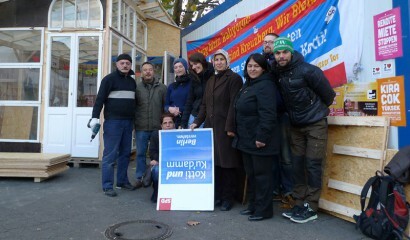 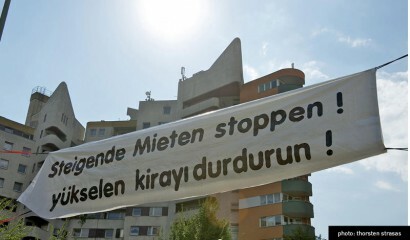 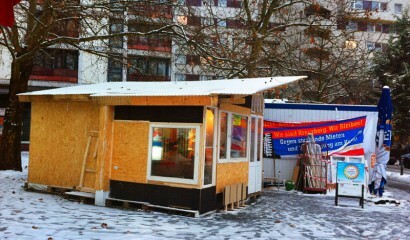 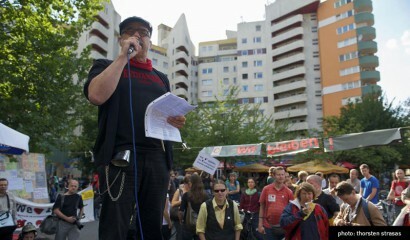 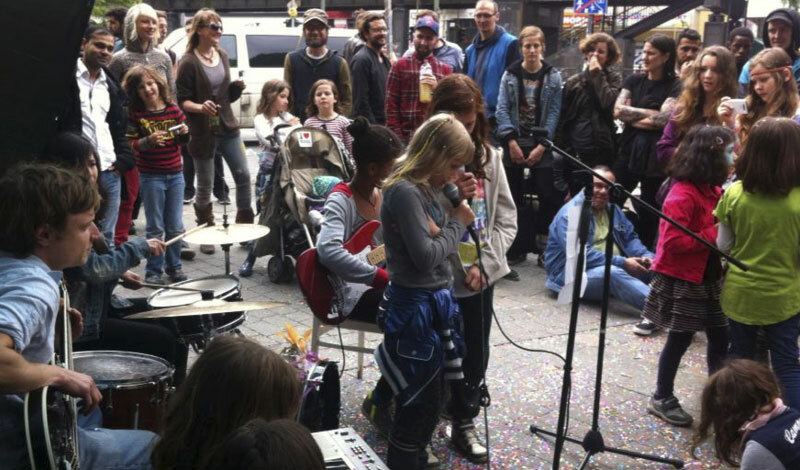 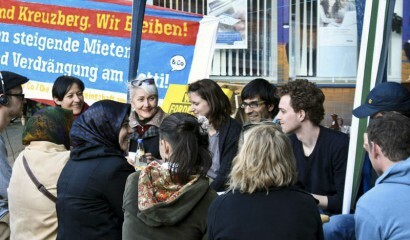 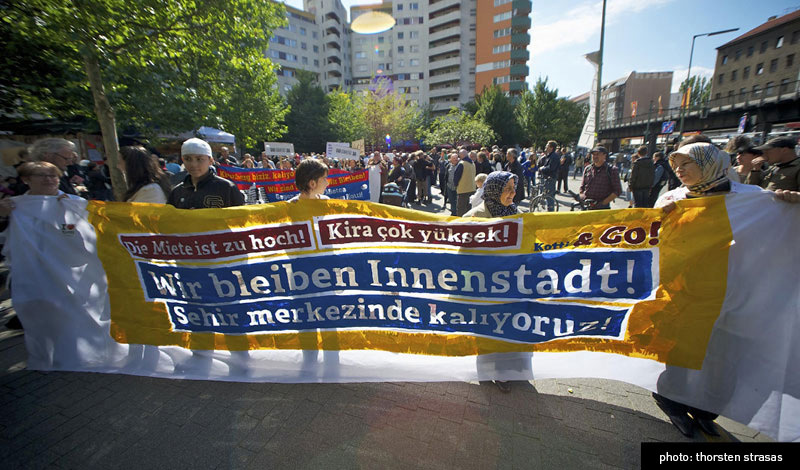 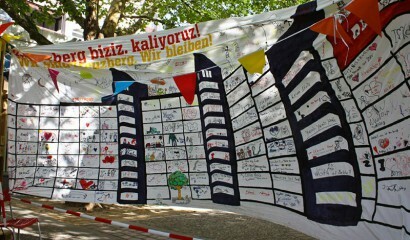 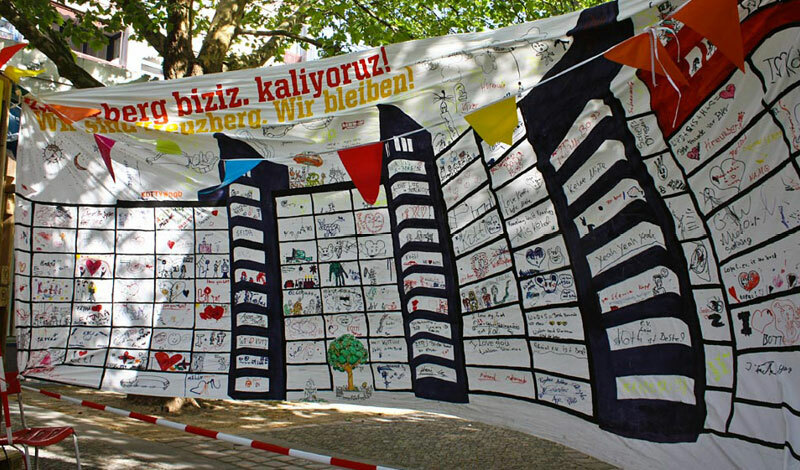 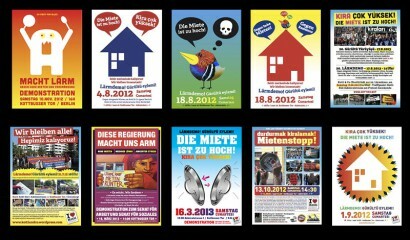 in may 2012 the group squatted a spot at kottbusser tor and build a protest-house. 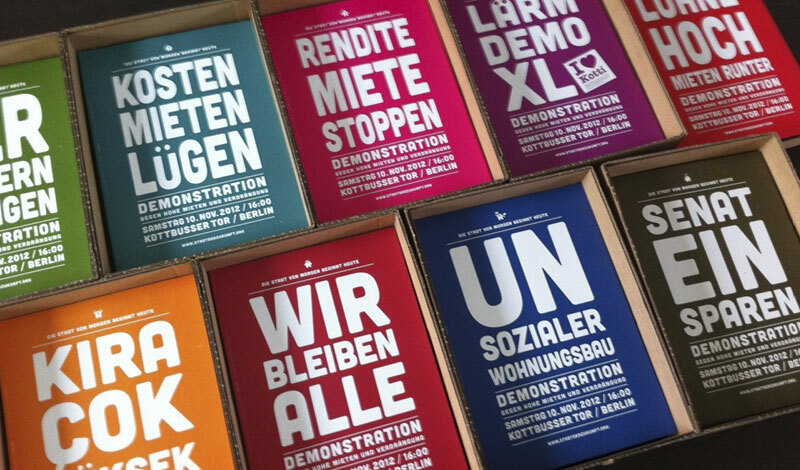 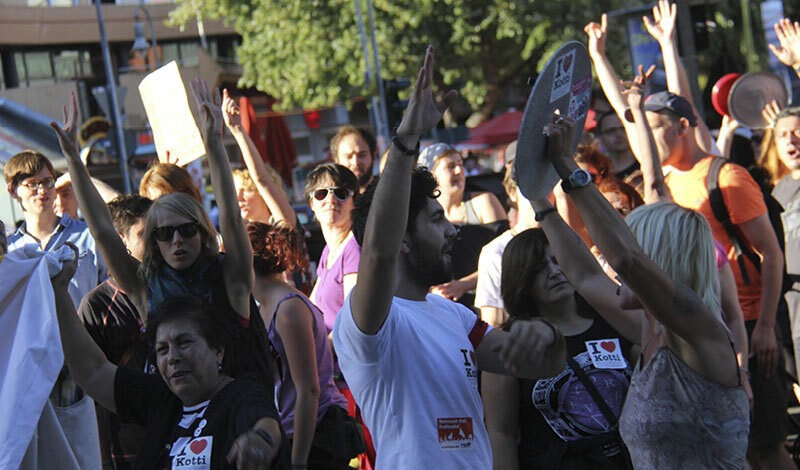 more than 27 demonstrations have taken place ever since … a huge amount of other activities, such as concerts, reading sessions, discussion rounds, parties etc. took place at the protest-spot. 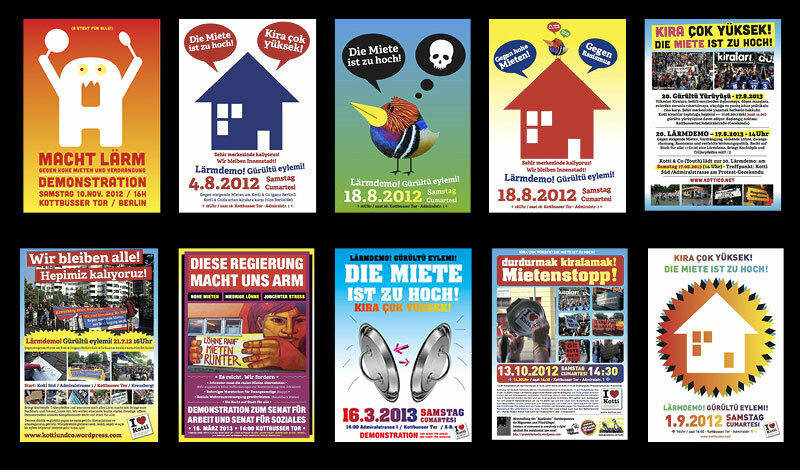 most of the communication and media of the group was developed and designed by image-shift. 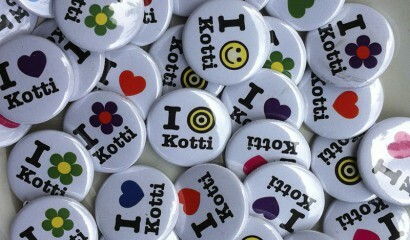 one of the most popular media formats is a sticker we designed, quoting milton glasers „I love NY“ design – which now said „i love kotti”. 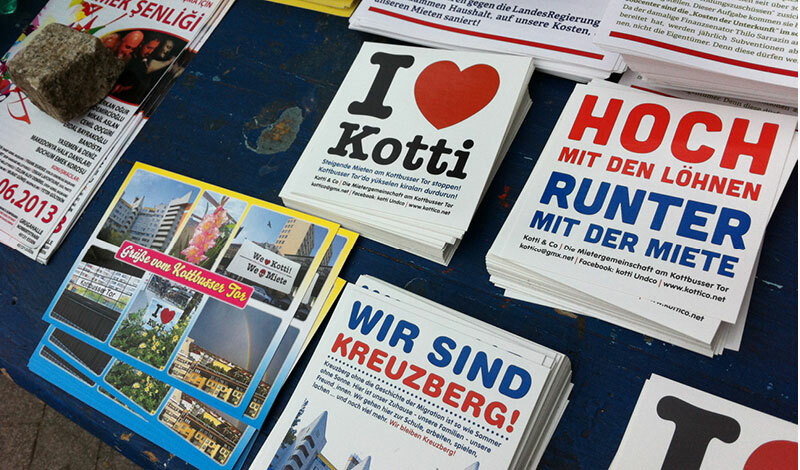 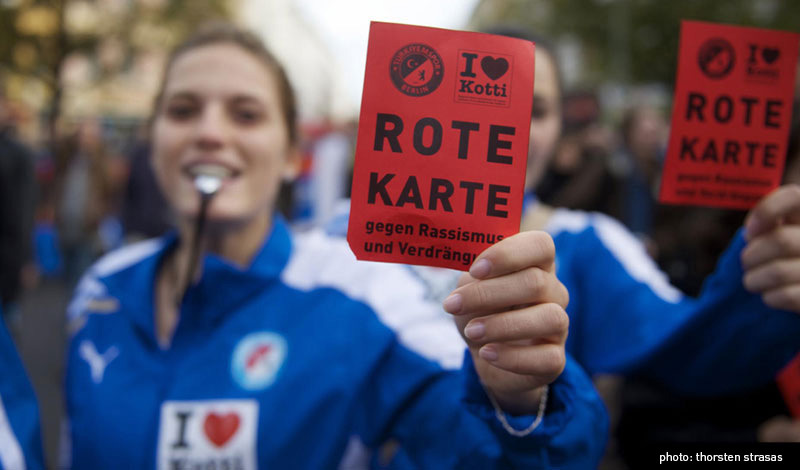 kotti stands for kottbusser tor / the big intersection in berlin kreuzberg. 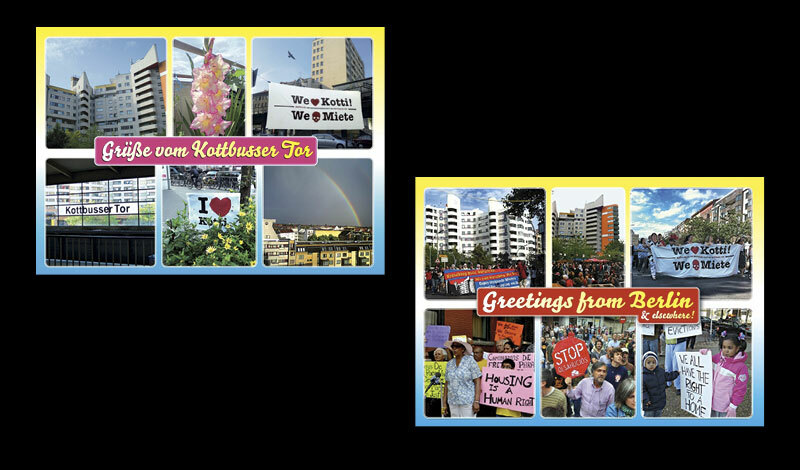 as kottbusser tor is usually seen and represented as a „problematic” area, which has to deal with drug addicts, major traffic pollution, poverty and dirt – the sticker takes a different perspective – basically the perspective of the people who live at kottbusser tor and who despite the problems love their neighborhood (but are now under huge pressure by the rising rents). 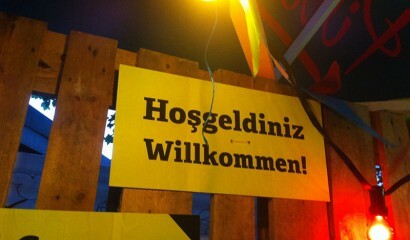 the same goes for a typical tourist postcard with greetings from kottbusser tor. 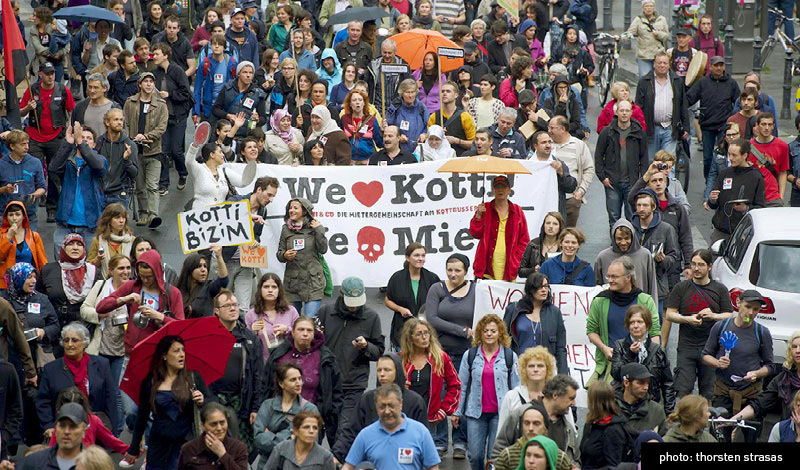 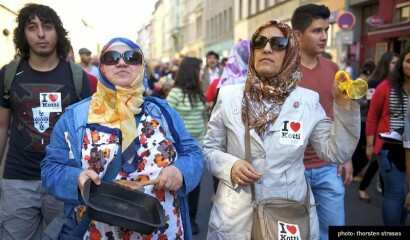 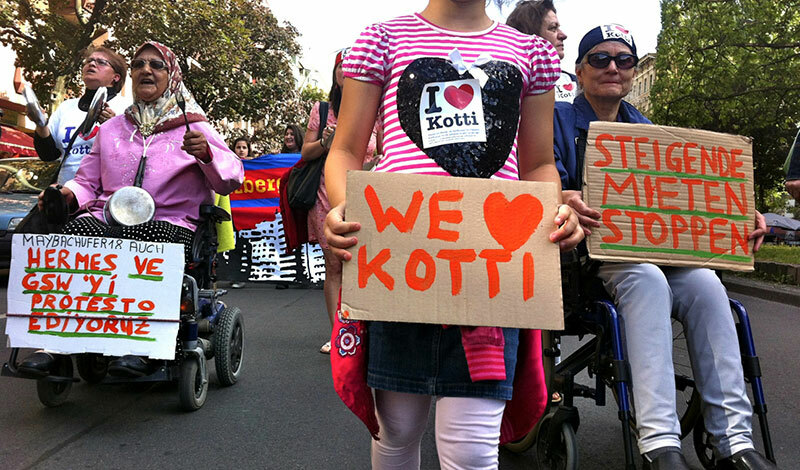 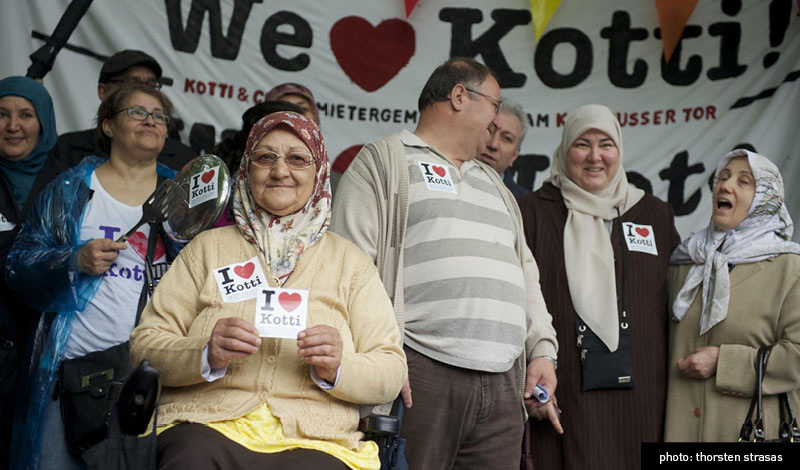 kotti & co is, beside being a tenant initiative, a project of diversity – bringing together a very wide rage of different people, who would usually live a typical urban life next to each other but not connecting with each other (…). as mentioned above – it is impossible to sum up all the work we did in this context. 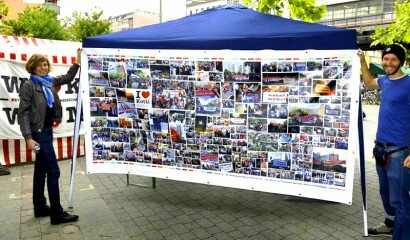 but you will get a little impression of the activities and design-work by checking out the images above.